How are Lego Bricks Made (For Kids)? Have you ever wondered how Lego is made. My son did so I promised I'd find out how they make all those Lego bricks. In our house we think Lego is the best toy for kids, and adults too. We love making Lego models and collecting new sets. But how are the Lego bricks themselves made? My five year old son wanted to know. I put this page together for him to answer his question. Let's find out how Lego is made. 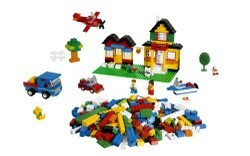 This page is intended for kids, though some adults will enjoy finding out how Lego is made too! If your child is younger, then share the page with them and watch the videos and discuss what you learn at each step. So How Do You Think Lego Bricks are Made? "I think there are big machines. And clay. And shape cutters." How do they make Lego bricks like this? Is This How Lego is Made? OK, so maybe that's not quite how they really make Lego bricks. It's not too far off from how they prototype new Lego bricks though. And the real version is even crazier, it would seem. How Do They Prototype New Lego Pieces? Watch this crazy video to find out how LEGO Group's prototyping lab designs and prototypes new Lego blocks. They use 3D modeling software to design new Lego blocks and then print them using a 3D printer. It's an Objet 3D printer. So that's how they make prototypes for new Lego pieces. They design them on a computer and then print them with a 3D printer. But that's not how they make Lego for production. Maybe They Make Lego Like This? In this video Lego Club's Max visits the assemlbly line where they make Lego Hero Factory toys. Lego is actually made by robots. 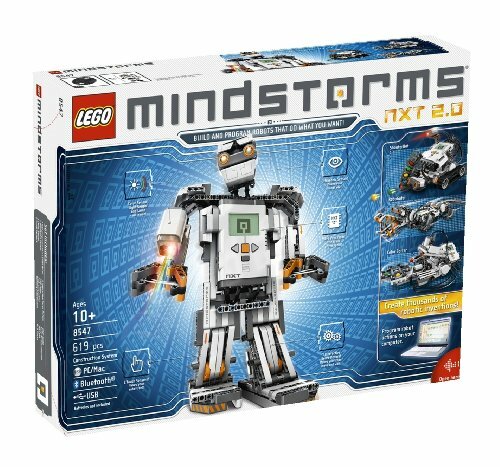 Not Lego Mindstorms robots, but pretty much the same principle - programmable robots with moving parts. Making Lego is a very high-tech process involving lots of machinery. What are Lego bricks made from? Lego bricks are made from ABS plastic. ABS is a strong and light plastic which is also child-safe. It starts off as small plastic granules. How are Lego Bricks Made? ABS plastic is heated until it is soft. It is then squirted at high pressure into Lego molds. This is called injection molding. Most of the process is operated by robots. This is safer, cheaper and more precise that using humans for the work. Watch how Lego is made in the Billund Lego Factory in Denmark. Gizmodo's Jesus Diaz got exclusive access. ABS plastic granules arrive at the factory. 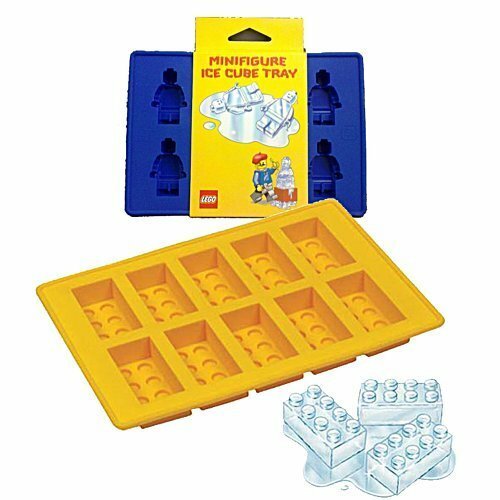 They come in different colors and are mixed to get the right Lego brick or piece color. The granules are transported through pipes and heated up so they melt. They liquid plastic is squirted into metal Lego molds at high pressure. Machines pop the pieces out into containers. When the containers are full, robots come and swap the full box for an empty one. The containers of Lego pieces are stored in a huge Lego cathedral building. When it's time to put the pieces together into a set, the robots fetch the pieces from the cathedral and machines sort the pieces they need. At each step the pieces are weighed very accurately - the machines know exactly how much the Lego pieces should weigh at each step. If the weight is wrong then the set is given to a human to check. Machines seal the pieces in plastic bags and put them in boxes. The whole process is very automated, there aren't may people involved at all. The video below also shows the inside of the Lego factory (but the end to end process isn't as clear as in the above linked video.) It shows the faces being printed on to Lego minifigure heads. You can buy the episode of How Do They Do It where they visit a Lego factory and explain the process. This show was on the Science Channel in 2008. There are Some People Involved in Making Lego! Not everything is automated at the Lego factory. Humans sort out problems, do some manual jobs and keep everything running smoothly, and some exclusive sets are still packed by hand. The video below shows the LEGO CUUSOO Hayabusa Lego being packed to be sent to Japan. Hayabasa is a Japanese spacecraft and was made from a suggestion on the LEGO Cuusoo site where anyone can suggest a new Lego model and try and get support to get it made. At Legoland California, there's a Lego Factory Attraction where kids can learn about how Lego is made. The attraction has real moving machinery and takes kids on a factory tour. But that's not where Lego is really made. Most Lego is still made in Billund Denmark where Lego have their HQ. There's a Lego Museum and Lego HQ which is at the site of the original Lego toy factory. The Legoland theme park is right next to the Lego Factory. The Lego Factory is shown on the map below (the Legoland theme park is to the east.) The marker shows Lego HQ. Drag the little orange man to the marker to get a street view of the google HQ building. You'll see giant Lego bricks and minifigures decorating the building. The process of making Lego is very high-tech. It's designed on a computer with 3D modeling software and made by robots! So what next? Will we use a 3D Printer to Print Lego at Home in Future? The future of making Lego? So will we be able to use a 3D printer to print Lego at home in future? Can you imagine buying the design for a new Lego set and then printing it at home rather that waiting for it to be delivered? It seems futuristic doesn't it. But home 3D printers are on their way. We're currently assembling our 3D printer. Our 3D printer will use a filament made from ABS plastic (which Lego is made from). It heats up the filament and then moves the print head to create a 3D object. It would probably be quite expensive to print Lego at home at the moment. And tricky to get lots of different colors. And we wouldn't be able to achieve the accuracy of the amazing Lego factory. But it's not impossible to imagine that it might be the designs rather than the physical bricks that we buy from Lego in the future. There's a lot more behind the humble brick than people realise! Simple but complicated. So that's how it's done. Very interesting insight into the world of Lego.